Do you Spritz? Aperitivo in Italy. I’ve been back in NYC for two weeks now and although I spent the whole month of July in Italy , I really miss my holiday. This is what I miss most – beach and my family. The first week, I traveled to Milan and Venice with my 10-year-old daughter. The week after that, my sister and her son joined us in Florence and Tuscany. During the first two weeks, I very rarely indulged in wine or any other cocktail. 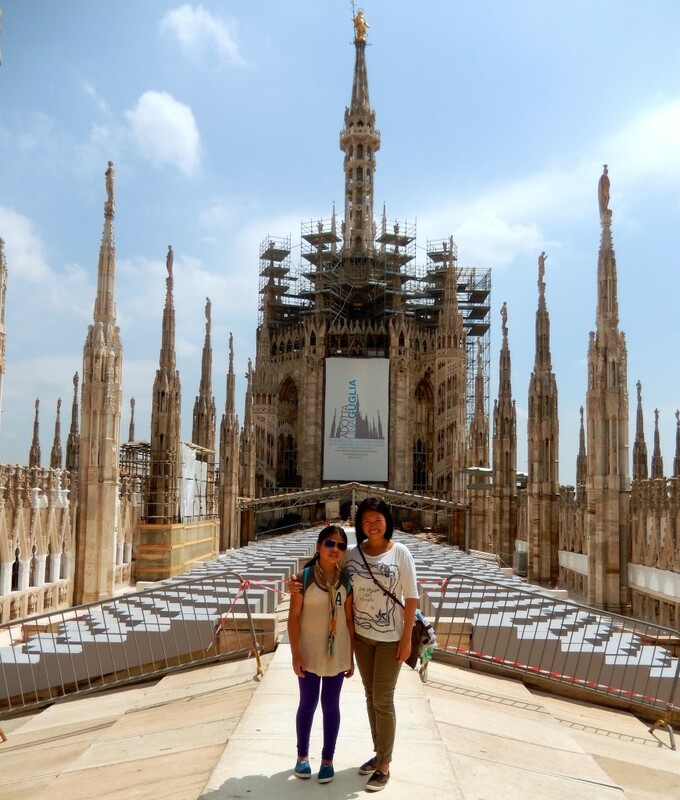 We climb to the top of the Duomo – just me and my girl! It just doesn’t feel good to drink alone – don’t you agree? Also, during the second week of travel, I was the designated driver during our family travels. Although my sister drives, she doesn’t drive manual cars. Renting an automatic car anywhere else but the USA costs more! So, we opted to save money and just have me as the lone driver. Loving our time in Venice! Here I was, in one of the best wine regions in the world, and I couldn’t have any wine! I longingly watched others sipping their wines with their meals and I have to admit – there were times that I really wanted a glass! One night, though, our lovely hosts Marco and Scylla at Agriturismo La Lespa in Pomaia, Tuscany, invited us to dinner after a long day of sightseeing. My sister now tells a funny story of me just saying “si” every time I was offered a refill of wine. Even if my glass was still full, I grabbed another one to fill! But I was finally able to drink and NOT HAVE to drive because I was already at my temporary home for the evening! Look at everything you get with this Spritz at Mon Cafe! The third week, my husband was finally able to join us on our family travels in Italy, so we unloaded the car and traveled by train, a great way to travels with kids, by the way. We met in Bologna and took the train to Modena. Mon Cafe in Modena was my favorite cafe ! Food is so good and interior is so chic! Andrew wanted to have a proper drink during Aperitivo (sort of like a happy hour) when we arrived. Now that my husband had joined me AND I didn’t have to drive, I was free to enjoy a cocktail. This is the front of Mon Cafe – so beautiful! A little history about Aperitivo hour in Italy: According to Emiko Davies, “Aperitivo” is the name for both the ritual of going out for a pre-dinner drink, as well as the sort of drink that you would probably have at such a ritual. Aperitivo comes from the Latin word meaning “to open,” and in Italian, you still describe the effect of something appetizing. Wow – this ritual really goes back in time, and to this day, my Italian friends tell me that aperitivo is to “open up” the stomach to prepare it for dinner. Interestingly, my friend Sylvana from Puglia, in the south of Italy, says aperitivo means the same in the south – except they have it before lunch. An Aperol Spritz in Vernazza during Aperitivo Hour! The most exciting one we had in Modena was at Mon Cafe. 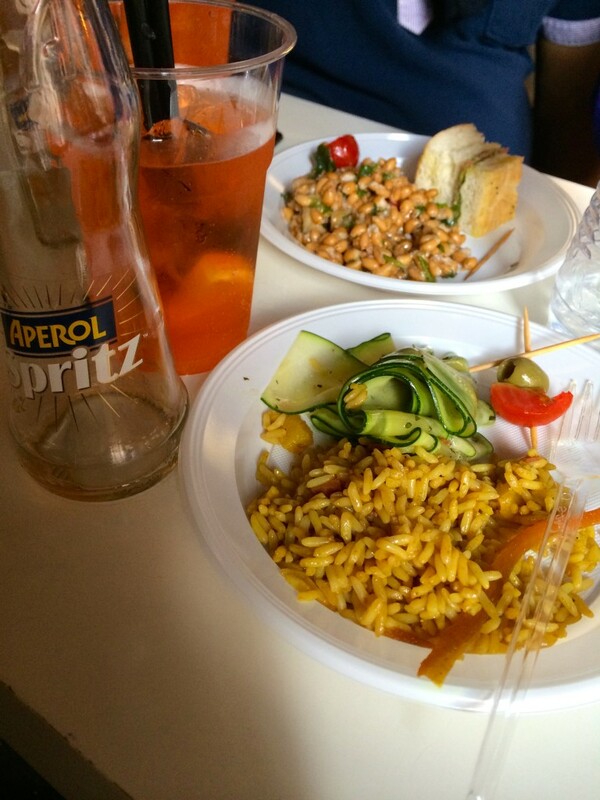 To follow the locals, we ordered the Spritz, which is Aperol, prosecco and soda; so delicious! It became our aperitivo choice for the rest of the holiday. This is Cantina da Miky in Monterosso Al Mare – This one is right in front of the ocean in the new town (Fegina) – My fav here? fried stuffed olives. Then came the dishes, which were free! The quality of food that was brought out to us to nibble on with our drinks was incredible! It makes sense; they don’t want people intoxicated, they just want to whet your appetite. After Modena, we traveled to Monterosso al Mare. There was a bar right next to our hotel called Bar Da Eliseo, which we visited almost daily for aperitivo hour. Their spread was not as plentiful, but it was the perfect amount of snacks right before dinner. In Rome, we visited several different restaurants that all had fantastic food to go along with our Spritz, our favorite being at Cafe Greco. The day we returned home, we purchased Aperol and prosecco from our local wine merchant, Di Palo’s, and recreated our beloved aperitivo hour! This spread in Rome is was even healthy! Unfortunately, we live in NYC, where a cocktail like a Spritz is about $10-$15 a glass, with no food involved. So, we make our Spritz at home and prepare our own snacks and dishes in order to transport ourselves to that special place, aperitivo time. 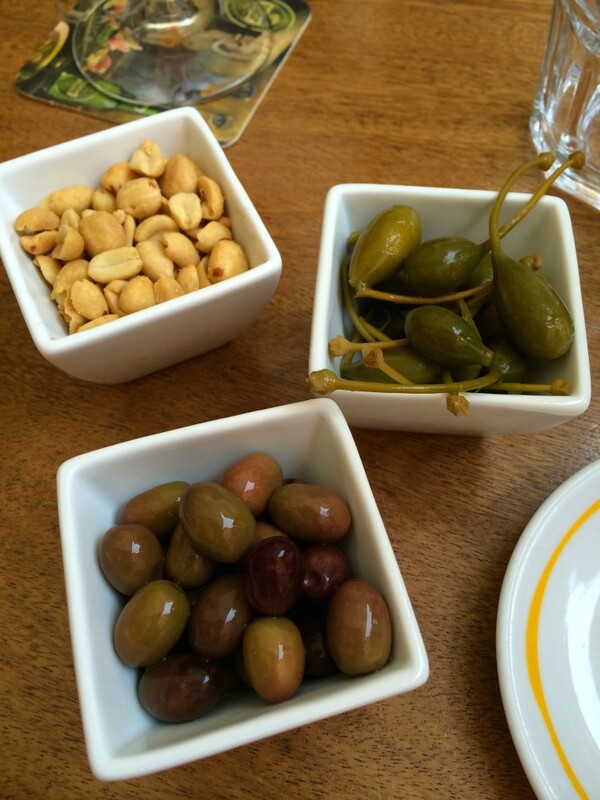 This spread is at famous Caffe Greco on Via Condotti in Rome – YUM! Love the Tre mezzinis sandwiches. 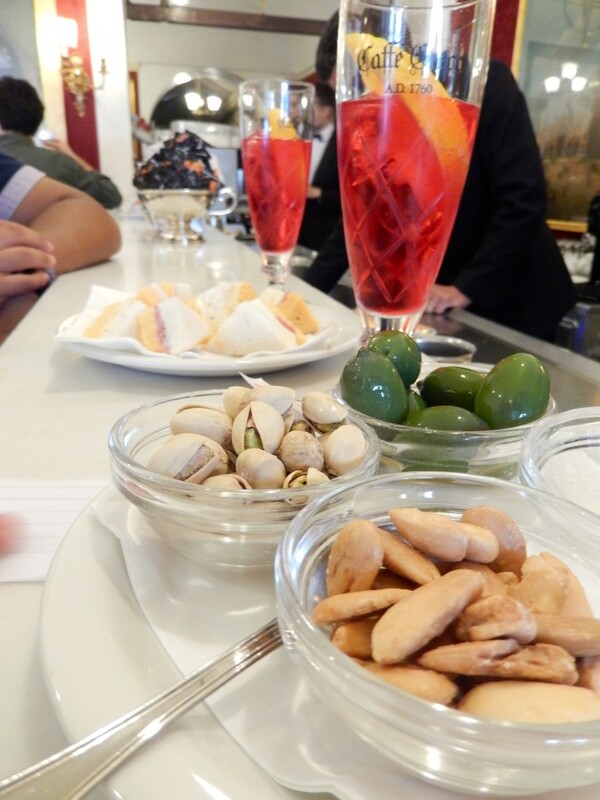 If you’ve been to Italy, did you experience the aperitivo? Do you have a spot to recommend? If you’re in NYC, do you know of a restaurant that has replicated the aperitivo hour? Let’s travel the world, one dish at a time! Did you like this “dish”? Please share it with your friends – I would be so grateful! In Rome, we stayed at a fantastic boutique hotel named Hotel Nerva in the Monti Area, which was an awesome neighborhood because it is walking distance to all the tourist sights AND there are so many fantastic local restaurants who cater to the Romans as opposed to tourists. Previous Post: « Milan’s Dish – Always in Fashion. I agree, but it seems to be catching on a bit here in New York; but the food spread is never as impressive and the drink deals never as good. I guess, we’ll just have to keep going to Italy to get a proper one. Italy is such a non-stop buffet of food, wine and quality architecture, it makes me want to sell everything and start my life over in that country. Thanks for this glorious post! Penelope, That’s a great description of Italy! A non-stop buffet of food, wine and quality architecture! I also want to sell everything and just GO! I think I may! Thank you for coming along with us for the adventure! Sam, so happy to hear my pictures were looking “edible”. You know what? Not being able to have wine for long periods of time was much harder that I ever imagined! LOL! Thank you so much for “traveling” with us! This all looks amazing. I do Spritz! I was introduced to it in Greece and was from then on, in love. So refreshing! Oh a fellow Spritzer! It’s really great in the heat isn’t it? Thank you so much Anne for joining us on our journey! Italy is on my bucket list, now more than ever! Love the rainy day in Vernazza photo. I want a spritz! Half our days in Cinque Terre were rainy days…but it would only last a few hours – Thank God! It forced us to see more of each of the 5 lands, instead of just spending every moment on the beach (which wouldn’t be bad either – LOL). Have a spritz and let me know what you think! Thank you so much for joining the journey! Such kinds words Jennifer! Thank you so much! It warms my heart when I read that you were in the moment with me. Yes, Italy is definitely a big travel priority! 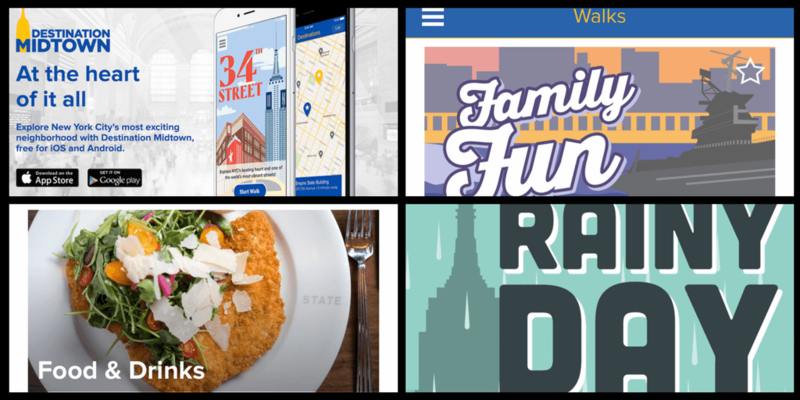 Thank you for joining us on the adventure – Cin Cin! Your blog takes me back to my visit to Italy. 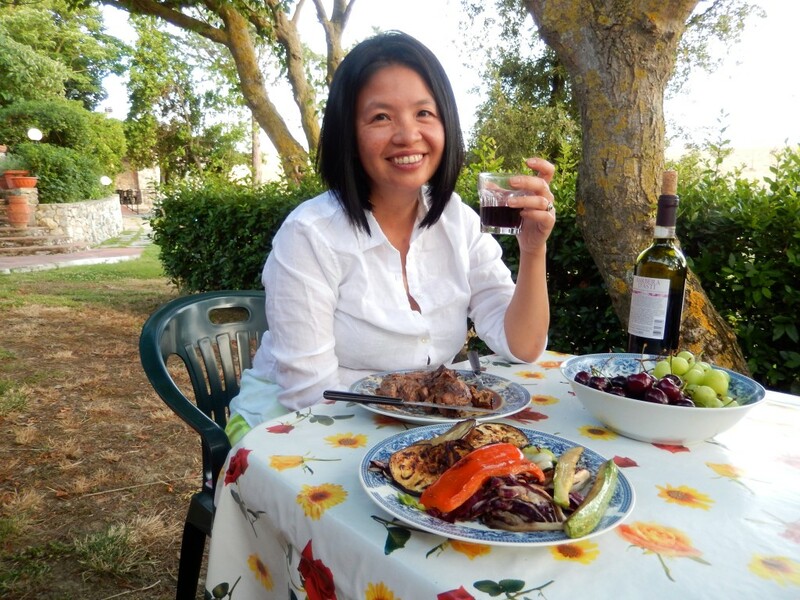 I fell in love with the food, and wine! I just love how everything is enjoyed there! Thanks for the trip down memory lane, can’t wait to go back. So happy I was able to transport you to Italy through its wine and food! Thank you for joining me on our adventure Allison!